Display Week is the premier international event for the electronic display industry. It’s one of the biggest annual conferences and tradeshows in the world, featuring special topics on 3D, touch technology, solid state lighting, OLED TV, and more. 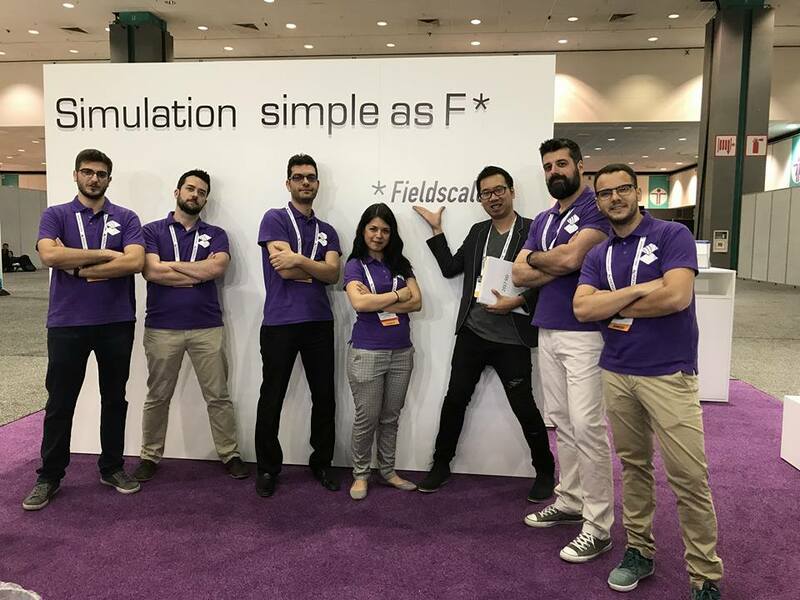 Fieldscale participated as an exhibitor, providing solutions for modeling and simulating touch sensors. Our novel touchscreen simulation App, SENSE, was featured in New Product Showcase. Sakis Karafyllas, from our Application Engineering department, presented SENSE in the Exhibitors Forum on Wednesday. All the big players in the touchscreen industry we at the Display Week and had the opportunity to stop by our island booth and view a live demonstration of SENSE’s capabilities. Companies like Samsung, Panasonic Aviation, Bosch, EDT, Corning, Amazon, Google, Facebook, Synaptics, Huawei, Esterline, Fitbit, and Magic leap are just some of the companies that discussed extensively with our engineers about their workflow and how SENSE could help them improve design time, depth of analysis and understanding of the simulation results. Fieldscale promotes the use of simulation in every step of the product lifecycle. Every department that needs to interact with the product can now do so by easily modeling and simulating it with their own personalized Simulation App. And this is only possible because SENSE has made simulation is easy as F*.